So neither Fi or I have given anything up for Lent. Personally from past experience I know that if I do give anything up I then tend to go a little bit manic once Easter happens and I finally allow myself to eat chocolate or sweets again! Seriously in previous years I’ve been known to be on a complete sugar high for at least seven days after Easter Monday. Even without the excitement of Lent ending we are both still eagerly anticipating Easter weekend. Eggs have been bought, hot cross buns have been sampled, we’ve planned the baking of the Easter bread and butter pudding and started to plot the Easter Egg hunt. The only think missing is the making of these Easter nests. These are classic treats for this time of year and we’ve been making them for as long as I can remember. So it’s high time we shared this recipe with you all on CB&E. Take one bar of chocolate – for us it has to be the purple wrapper from Mr Cadbury – and melt in a bowl over boiling water on the hob or in a microwave. Once all the chocolate is melted pour your choice of cereal into the chocolate. Here we like to use either Rice Crispies or Shredded Wheat as both can be made into perfectly shaped nests. You want to make sure all of the cereal is well covered. 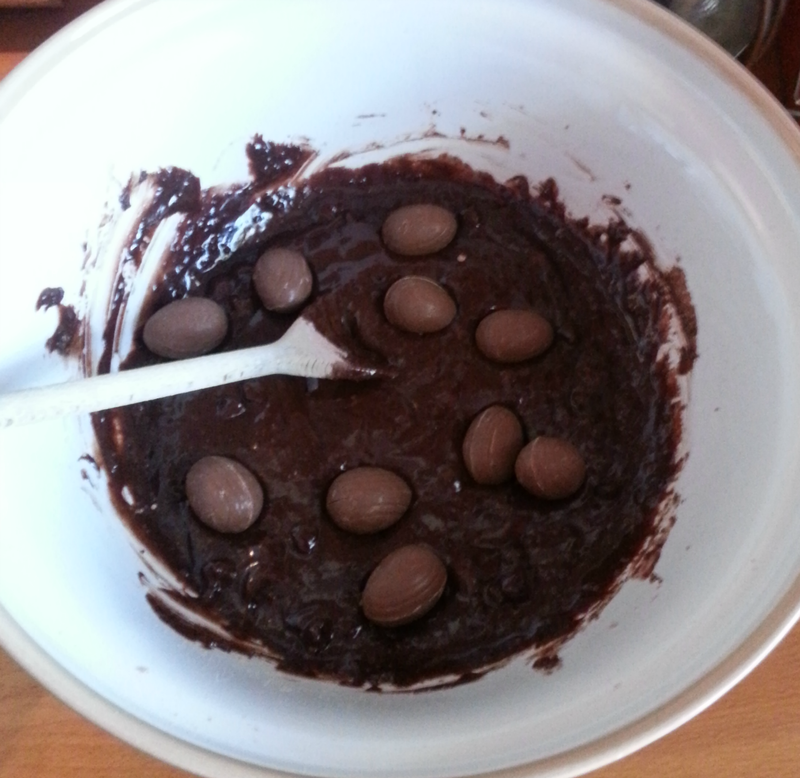 Next spoon the mixture into cupcake cases, and top with three mini eggs. Voila, all done. 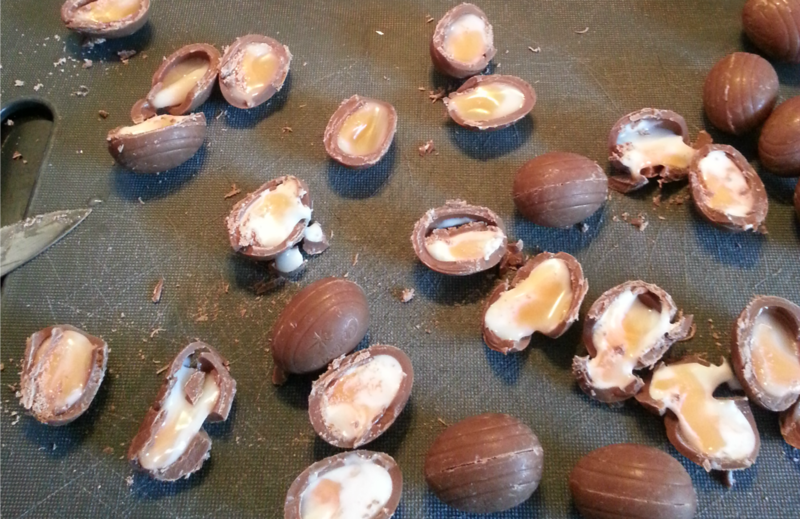 Now sit down, relax and enjoy these tasty morsels of Easter fun. I know a lot of people freak out when they visit the supermarket on January 1st and are faced with a wall of Easter treats. I am not one of those people. In fact I’m the complete opposite, I embrace the wondrous moment and start stockpiling. You see I’m addicted to Cadbury Mini Eggs, there’s something about the creamy chocolate inside, hard crisp shell and glorious pastel shades of these little bites that has me squealing in excitement and reaching for a bag (or four!). So yes as soon as they appear in the shops I’m all over them – I mean they are only available for three months of the year, so you HAVE to make the most of them. Now considering I’m obsessed with them it’s odd that I’ve never baked with them, well apart from popping them on Easter Nests! However, I recently found this recipe online of mini egg blondies and my interest was piqued. I’ve never tried blondies – I usually go straight for a brownie recipe if I’m making a tray bake – but thanks to the addition of my favourite Easter goodies I was intrigued enough to give them a whirl. And my goodness am I pleased that I made them – they are so good that I’ve made them three times in the last month alone, oops! 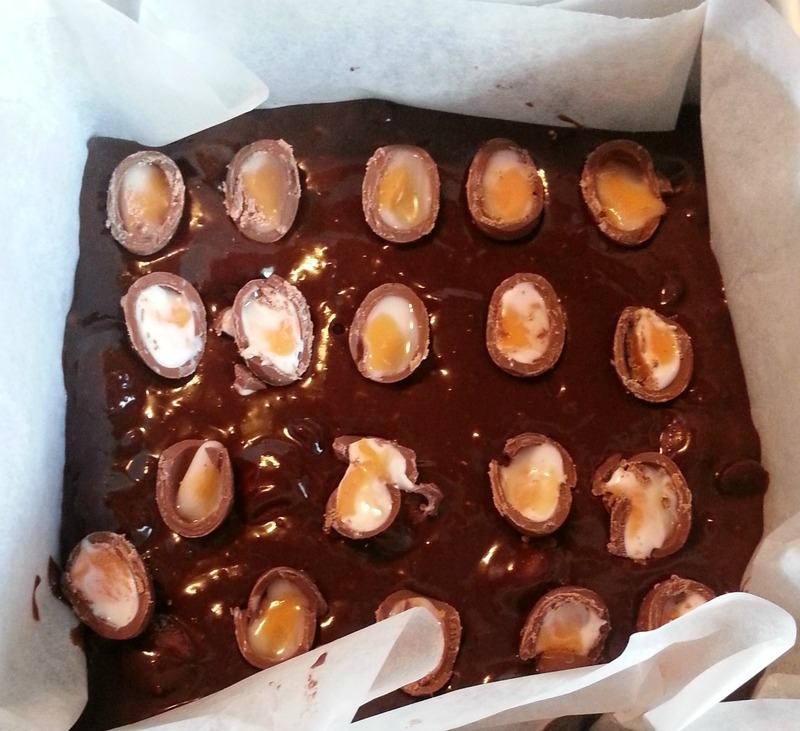 The recipe makes about 30 small squares and each square is chock-a-block with mini eggs – my ideal scenario!! Oops, where did they all go?! The finished product – scrumptious! I’m sure you’ll agree that they are the best things you’ve ever tasted! It’s just a shame you can’t make them year round, although I imagine they’d be just as good with a different chocolate as a substitute – perhaps I’ll give m&m’s a whirl next!